1) (London). Ar. on a fesse az. betw. three crosses crosslet sa. as many escallops or. Crest—On a chapeau gu. an escallop or, betw. two wings ppr. 2) (Wales). Ar. on a chief sa. three martlets of the field. 3) Ar. a chev. engr. vaire or and gu. betw. three hurts of the third, each charged with a lion’s paw erased of the second. 4) (Reg. Ulster’s Office). Gu. three lions pass. in pale or, each holding betw. the forepaws an esquire’s helmet ppr. Crest—A dexter arm in armour embowed, the hand grasping a sword all ppr. 5) O’Hogan – Sable, on a chief or three annulets of the field. Hogan is an Irish surname deriving from the Irish Gaelic Ó’Hogáin, a diminutive of the word og, from the personal (first) name Ogan, meaning young or young warrior. In Cornish, hogan means moral, and in Gaelic. The Welsh word Hogyn means a stripling (i.e. a young man). It Northern Ireland (Ulster), it can be an Anglicized form of the surname Hagan. In the south of Ireland, some members of the family claim descent from the uncle of Brian Boru, a famous Irish King who lived in the 900s AD and united the kingdoms of Munster, Leinster, and Ireland and founded the O’Brien dynasty. The name O’hEochagain is anglicized as Hougheha and sometimes Hogan, particularly in county Galway according to author Patrick Woulfe. It derives from the personal name Eochaid, which may mean “horse rider”. My research also indicates that some Hogan’s are actually on Dutch descent and are members of the van den Hoogen family. For example, Cornelis Joannes van den Hoogen was born in Reek, Noord-Brabant around 1575. He had a son named Johannes Cornelis van den Hoogen who was born in the same town around 1605. He in turn had a son named Patrick who lived in Ireland, at which point the spelling of the name changed. This Patrick Hogan was born in Ireland in 1640. He went to New Brunswick, Canada, and had a son named William. This William went to Virginia and had a daughter named Mary who was born in Virginia in 1659. Common spelling variants or names with similar etymologies include O’Hogan, Hogen, and Hoggin. Similar foreign names include Hoogden (Dutch and Flemish). The last name Hogan ranks 488th in popularity in terms in the United Status as of the 2000 Census. The name ranks particularly high in the following five states: Massachusetts, Missouri, Rhode Island, Illinois, and New Hampshire. The surname Hogan frequency/commonness ranks as follows in the British Isles: England (778th), Scotland (1,081st), Wales (719th), Ireland (57th) and Northern Ireland (1,273th). In England, it ranks highest in Lancashire, Herefordshire, Durham, and Cheshire. In Scotland, it ranks highest in Sutherland. In Wales, it ranks highest in Cardiganshire. In Ireland, it ranks highest in counties Tipperary, Clare, Carlow, and Limerick. The name is also present throughout the remainder English speaking world: Canada (676th), New Zealand (510th), Australia (214th), and South Africa (2,696th). The book, Genealogy of Irish Families by John Rooney published in 1895, has a section dedicated to this name. 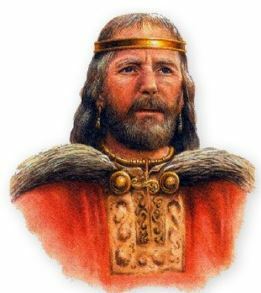 Rooney asserts the family descends from King Milesius of Spain through his son Heber, which is a dubious claim he makes in regard to several other Irish families as well, since historian consider said king to be mythological. He claims they belong to the Dal Cais tribe, in which the “blood of both Heber and Heremon is united”. The family was founded by Cormac Cas, son of Olliol Ollum, King of Munster in 177 AD. The name was anciently spelled Oghdha and means sincere. The O’Hogans were Chieds of Crioch Kianin the area of Ballyhogan, in modern day county Tipperary, Ireland. They were seated at Arderony where they built O’Hogan Castle. The family supported the Catholic King James II during the revolution in Ireland and fought alongside the Jacobite forces (ex. officers in the Regiments of Dorrington, Grace, Bagnall, Mountcashel, and Clare’s Dragoons), the most famous of which was “The Galloping O’Hogan”, who was Captain of the guerrillas. Major General Hogan, a member of this Tipperary sept, defended Campo Mayor in Portugal against the Marquis de Bay in 1712, who commanded a significantly larger force. Another famous member of this family was John Hogan, a sculptor from Waterford who grew up in the city of Cork, who went to room and was the first person of Irish descent to become a member of the Society of Virtuosi of the Pantheon. The author also states “In North Carolina General James Hogan, one of the most active men in that State in the Revolutionary cause, entered the service in 1776 as paymaster, was the same month made Major, and in 1799 was appointed Brigadier-General. He rendered good service, though from the nature of the operations required his duties were often more onerous than brilliant”. A one Thomas Hogan was born in 1720 in Stafford, Virginia. He married Elizabeth Thomas and had a son with her named Daniel. Daniel was born in Virginia in 1753 and he married Sarah Lloyd. He had a son named Thomas Lloyd Hogan who was born in North Carolina in 1785. He married Elizabeth Freeland and had a son with her named W. John. W. John was born in 1808 and he had a son named Mary Jane Burroughs and he had a son named John Thomas. John Thomas Hogan was born in Orange County, North Carolina in 1832. He married Julia Strayhorn and he had four issue with her: Irvin Alexander, Cora Lee, Ernest, and Mary L.
Some early settlers in colonial America bearing this surname include Mohan Hogan (Virginia 1663), Peirce Hogan (Maryland 1677), Tary Hogan (Maryland 1678), Philip Hogan (Virginia 1701), Daniel Hogan (Virginia 1702), Morgan Hogan (Virginia 1705), Michael Hogan (Pennsylvania 1746), and Sebastian Hogan (New England 1764). In Canada, one of the earliest settlers was Thomas Hogan who came Halifax, Nova Scotia in 1750. One of the earliest bearers in Australia was one J. Hogan, a plasterer by trade, who came to New South Wales during the late 1820s and early 1830s. One of the earliest settlers was James Hogan, who came to the city of Wellington in 1843. I researched the following three resources and did not find any coats of arms for Hogan: Bolton’s American Armory, Matthew’s American Armoury and Bluebook, and Crozier’s General Armory. The Hogan family motto is Fulminis instar, meaning “like lighting”. We have five coats of arms for the Hogan surname depicted here. These five blazons are from Bernard Burke’s book The General Armory of England, Ireland, and Scotland, which was published in 1848. The bottom of this page contains the blazons, and in many instances contains some historical, geographical, and genealogical about where coat of arms was found and who bore it. There are hundreds of notable people with the Hogan surname. This page will mention a handful. 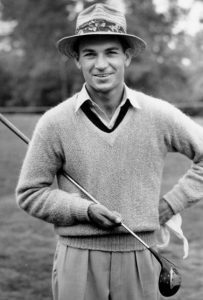 Famous people with this last name include: 1) Henry Hogan (1840-1916) who was a Sergeant in the United States Army, born in Ireland, who fought in the Black Hills War and was awarded the Medal of Honor twice, 2) William Ben Hogan (1912-1997) who was an American professional golfer from Stephenville, Texas who is considered to be one of the best players of all time, who was nicknamed “The Hawk” and “Bantam Ben” and won nine major championships in his career during the 1940s and 1950s, 3) Chuck Hogan (1967) who is an American novelist and screenwriter from Boston, Massachusetts, 4) Lawrence Joseph Hogan (1956) who is the 62nd Governor of Maryland, 5) James Hogan who is an Australian airline executive who is the CEO of Ethiad Airways in the United Arab Emirates, 6) Noel Anthony Hogan (1971) who was born in Moyross, Ireland, who was the lead guitarist and co-songwriter for the band The Cranberries, 7) Clarence Lester Hogan (1920-2008) who was an American physicist who pioneered technology in the fields of microwaves and semiconductors, 8) Erin Marie Hogan (1985) who is an American actress from St. Louis, Missouri who is known for roles in horror films and TV shows, and 9) Sean Hogan (1901-1968) who was one of the leaders from the 3rd Tipperary Brigade of the Irish Republican Army during the War of Independence. It is most certainly appropriate to mention Hulk Hogan, the most well-known professional wrestler (sports entertainment) of all time turned TV and movie star, whose real name is actually Terry Gene Bollea. He was born in 1953 in Augusta, Georgia and held numerous titles, including the WWF and WCW World Heavyweight Championship six times each. With his blonde hair, he was marketed as an Irishmen, and named Hogan accordingly. The four main devices (symbols) in the Hogan blazon are the escallop, cross crosslet, martlet and lion’s gamb. The three main tinctures (colors) are or, gules and argent . Excuse me, I am a descendant of William Hogan who lived in Virginia who was born about 1650. I would like to know how you made the connection of the Virginia Hogans to the Netherlands. I have tried to find sources on that claim and so far it doesn’t make sense to me. Thank you. To Corbin Long: My name is Sherry Hogan. If you are a descendant of William Hogan who lived in Virginia, I believe you are a relative. My cousin Jason Kennedy has traced the family back to the Netherlands, where they went by the surname of van den Hoogan. It was changed to Hogan at some point after some of the family moved to Ireland then to Canada. You can contact Jason on Facebook under Hogan Family Group. I hope you contact him to compare notes.